Gilstead Mansion is a 24-unit freehold condominium located at Gilstead Road off Dunearn Road. Excellent schools such as Raffles Girls' Secondary School, Anglo-Chinese School and the Singapore Chinese Girls' School are within close proximity. Nearby prestigious club like The Pines Club and the American Club are just a few minutes away. 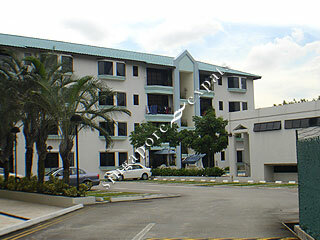 Amenities like food, entertainment, shopping can be found near Novena, which is 10 minutes walk from Gilstead Mansion. The popular Orchard Road shopping belt is just 5 minutes drive away. This development is a short walk to Balmoral Plaza, Newton MRT Station and Newton Food Centre which is one stop away from Orchard MRT Station. Gilstead Mansion is accessible via the nearby Pan Island Expressway (PIE) which leads to all parts of Singapore. Traveling to the Central Business District takes about 15 minutes by car or the subway (MRT). Near MRT choice location, yet peaceful & tranquil.